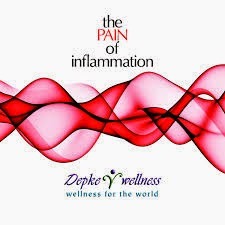 We are in the home stretch of "The PAIN of Inflammation" program and I am very excited for all of you! I have seen some huge positive shifts for most of you in the program and that's what makes this all worth it. Thank you for making such a significant commitment to change your own health and happiness, but do not let you foot off the gas. This last week is often still full of positive responses from every perspective for all. Have an amazing last week of the program and start preparing yourself for life after the plan!